Bella Distributors LLC of Southwest Florida is a distributor of fine quality food products and gift baskets. The family-owned operation is the exclusive regional distributor of the century-old Sclafani Brand gourmet imports. Wholesale accounts of any size are welcome. 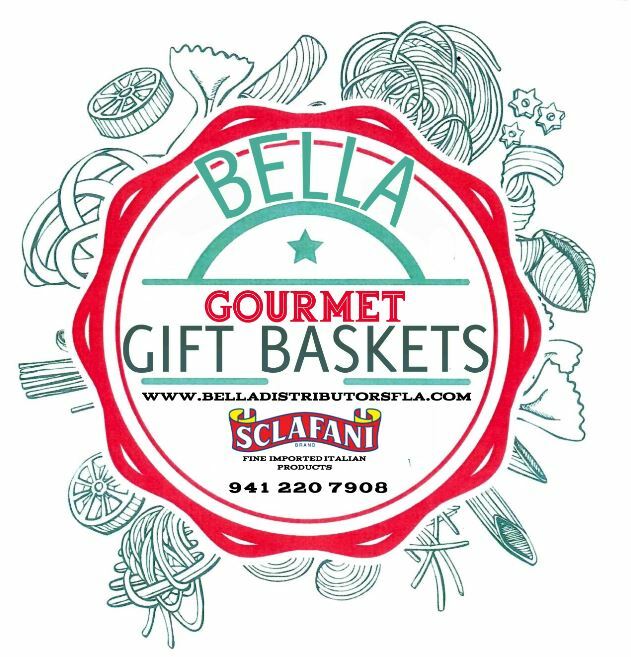 Choose from a delicious selection of Bella gift baskets offering premium Italian food products for special occasions, birthdays, anniversaries, and important events. Enjoy Sclafani’s own antipasto. A variety of antipasto items topped off with Sclafani Olive Oil and succulent Balsamic Vinegar. Enjoy with friends – Bon Appetite! A deluxe desert basket with assorted cookies from Italy. Topped off with a pound of fresh Kimbo Expresso coffee which brews up with any coffee maker.